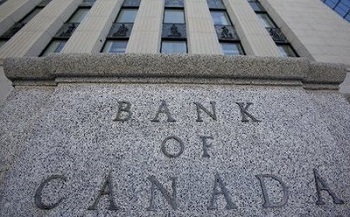 “Rates are so low now that investors should never be making an investment decision based on whether the BoC raises or lowers its rate,” said Don Campbell, a real estate investor, researcher, author and educator. "They need to pay attention to the reasons why it happens. Campbell advises agents to instead pay attention to the commentary that surrounds the interest rate. “Right now, the Bank of Canada is saying their economic metrics are showing stability and that they are happy with the impact of their last rate cut, happy with the lower Canadian dollar, happy with how that buffers the lower oil price while providing incentives to exporters,” he adds. Holding the key rate steady is a prudent move and not surprising given how the economy reacted to the surprise 25 basis point cut in January, says Shaadi Faris, vice president of Intergulf Development Group in Calgary. “The lower Canadian dollar has spurred the manufacturing sector and served as a hedge against lower oil prices, exactly what the Bank of Canada intended. “This means status quo for B.C. and Alberta,” he continued. “B.C. will continue to benefit from a cheaper dollar as exports prosper, while solving Alberta’s resource woes relies more on global supply and demand economics.